Canford Cliffs - who found himself in the winner's enclosure at Royal Ascot on three occasions - is to leave Coolmore to join the roster at Highlands Stud in South Africa from 2018. "We are extremely excited to have acquired a horse of this calibre who has already produced Group winners internationally," said a statement released by the stud, which was sold to the Kieswetter family of Ridgemont Stud in January. "It is worth noting that his highly respected champion trainer Richard Hannon snr said of Canford Cliffs - 'He's the best I've ever had'. That's an endorsement if we ever needed one." 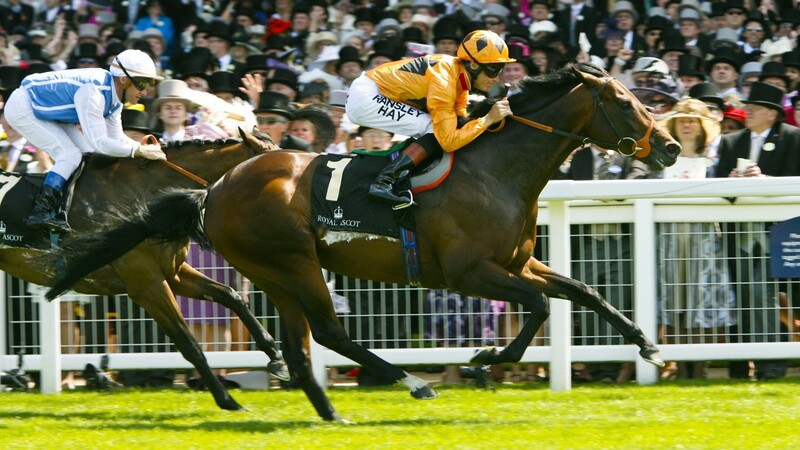 Trained by Hannon and ridden by Richard Hughes on each of his 11 starts, Canford Cliffs won five Group 1s on the bounce, including the St James's Palace Stakes, Sussex Stakes and the Queen Anne Stakes - a sequence broken by Frankel on his final outing in the 2011 Sussex Stakes. The ten-year-old son of Tagula was retired to Coolmore Stud at a fee of €17,500 in 2012, which had been reduced to €10,000 for the latest covering season. Canford Cliffs has sired four Group winners including the speedy Railway Stakes scorer Painted Cliffs, as well as the dual Oaks-placed Harlequeen. He also shuttled to Blue Gum Farm in Australia for five years, with Listed scorer Dorset Noble his best southern hemisphere performer to date.